CAPE GIRARDEAU, Mo. (AP) — A former Missouri sheriff accused in the beating death of a jail inmate used his knee to press on the man’s neck and, when repeatedly urged by a police officer to stop, responded, “No, I’m good,” according to a wrongful death lawsuit seeking at least $20 million for the inmate’s family. The county’s presiding commissioner, Carlin Bennett, declined to comment. Hutcheson was not criminally charged in Sanders’ death, but was dismissed soon after. He was at the jail the night Sanders died even though his law enforcement license had been suspended because of criminal allegations in unrelated cases . 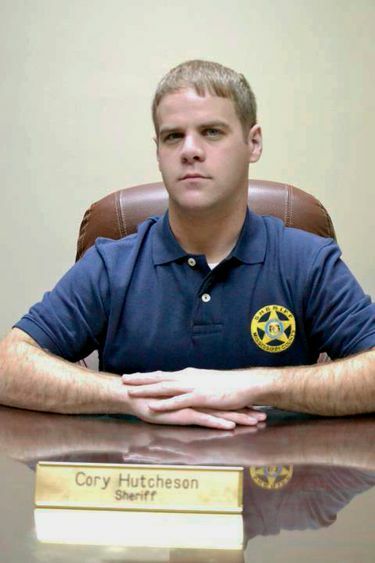 The Southeast Missourian reports that the lawsuit filed in Cape Girardeau on behalf of Sanders’ nine children and other relatives names Hutcheson and other law enforcement officers, as well as Mississippi County and the town of Charleston. The lawsuit alleges civil rights violations, false imprisonment and wrongful death. The suit says that on the night of May 5, Hutcheson led a team of officers and jailers, wearing helmets and vests and holding a large shield, into Sanders’ cell. The lawsuit said Sanders was tackled and punched as the officers tried to place him in handcuffs and leg irons. The lawsuit alleges that Hutcheson pressed his left knee on top of Sanders’ neck. Charleston police officer Curtis Anderson told Hutcheson at least three times to remove the pressure, the lawsuit said. “No, I’m good,” the sheriff responded, according to the lawsuit. “No lifesaving measures were taken” after Sanders stopped breathing, the suit states. Emergency medical personnel arrived and took him to a hospital, where he died a short time later. Missouri Attorney General Josh Hawley’s office investigated Sanders’ death but decided against charges. Medical experts concluded that Sanders died because of a medical condition known as “excited delirium ,” and not as a result of the officers’ attempts to subdue him. About a month before Sanders’ death, Hutcheson was arrested for allegedly tracking the cellphones of a judge and law enforcement officers. He also was accused of taking his sister-in-law’s paycheck from the hair salon where she had worked, and was charged with robbery.